Last week, news leaked that longtime Bellator color commentator Jimmy Smith would not be having his contract renewed by Paramount Network, the new Spike TV. While speculation immediately began of Smith moving to the UFC, it was uncertain who would be taking Smith's old role on Bellator's broadcasts. 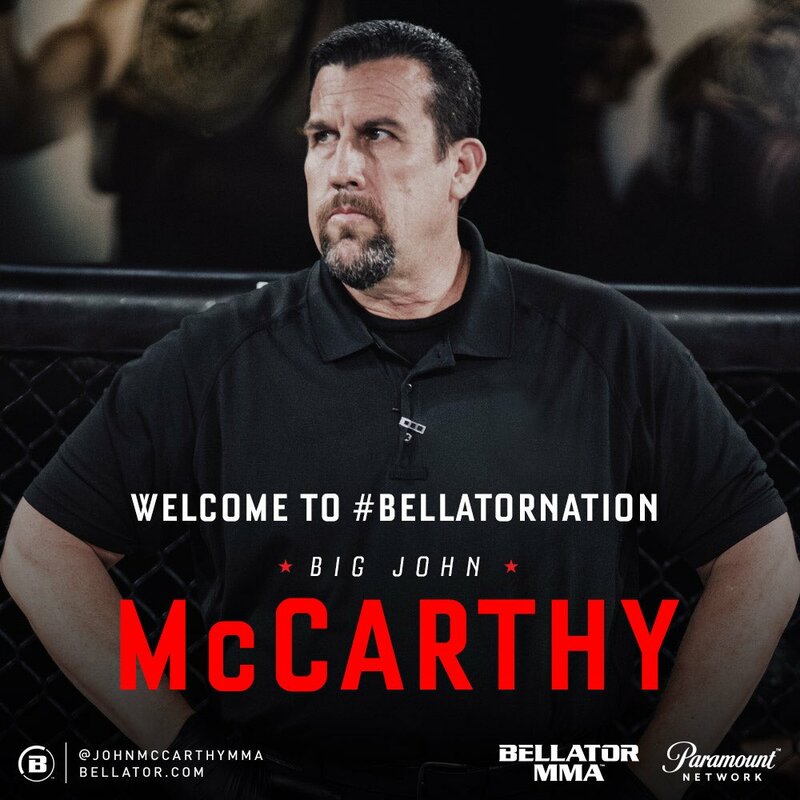 Well, now we know, as the company announced legendary MMA referee "Big" John McCarthy would be joining Bellator's broadcast to split color commentary duties with Chael Sonnen aside lead play-by-play announcer Mike Goldberg. This is a great signing for Bellator as the promotion continues to grow in the MMA space. After all, McCarthy is universally recognized as one of the best referees in the business and one of the more cultivated MMA minds around. 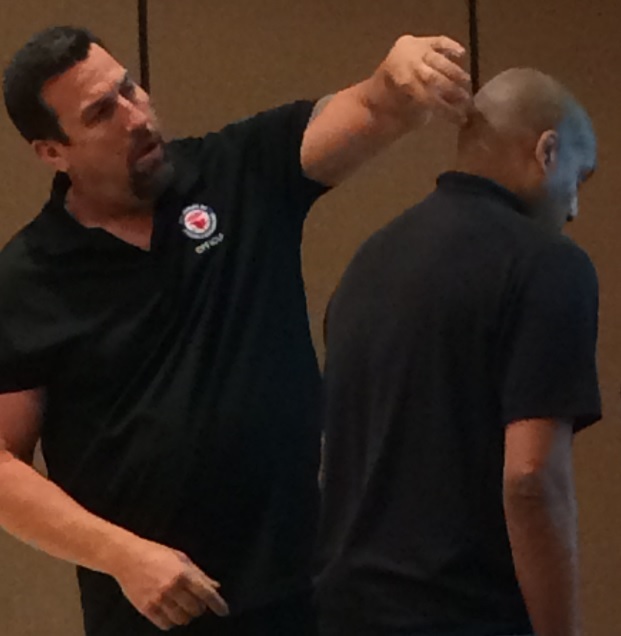 The former Los Angeles police officer is one of the most respected voices in the sport and he is incredibly knowledgeable about the rules, which he had a hand in creating back in the 1990s. He knows how to score a fight and his insight on the Bellator broadcasts should be tremendous, as McCarthy is also a very seasoned speaker. 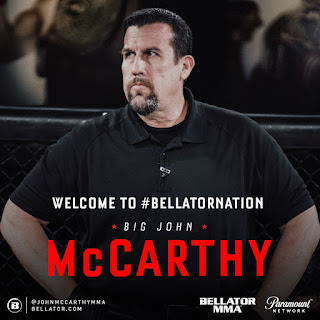 All in all, it's a terrific move for Bellator and for McCarthy himself, as he no doubt is getting paid much more than what he would as an MMA referee, which really isn't that much money. Having said that, losing McCarthy to broadcast duties is a tremendous loss for fighters, who rely on seasoned officials like McCarthy to protect them in fights. MMA refereeing is one of the hardest jobs in professional sports, and a ref like McCarthy who rarely made mistakes was a rarity in the sport. The fighters relied on McCarthy to protect them in fights, and he often officiated some of the biggest fights in the sport, including numerous main events and title fights. For the last 20-plus years, McCarthy has been a commanding presence in the cage, one capable of providing a sense of security to the fighters. Now they will no longer have McCarthy. There are some other respected referees like Herb Dean and Marc Goddard, but no one was as universally respected like McCarthy, and it's a big loss to lose him to the broadcast booth. It's hard to say whether this will lead to more or fewer injuries and/or blown stoppages, but at least for a while the fighters will miss McCarthy's presence inside the cage. Some are suggesting McCarthy could still technically referee MMA matches, but it just doesn't seem likely. And it's not right, either. According to McCarthy, he is still licensed to officiate MMA bouts, but it seems like a massive conflict of interest if he does, especially if it's in Bellator. It's possible that he could officiate fights over in Russia for ACB, but more than likely McCarthy will be too busy with Bellator's travelling circus anyways. McCarthy says he will ref some boxing matches, which is ok, but it just doesn't seem like he'll be doing MMA anymore. After officiating fights since the early 1990s, it's possible McCarthy just wants a different path now. Plus, the money in television is much better. The choice to leave seems like an absolute no brainer, but that's still no consolation to the fighters who respected him. Hopefully this move doesn't stop McCarthy from running his COMMAND referee courses, as the sport needs experienced officials like McCarthy to help train the next wave of MMA referees. 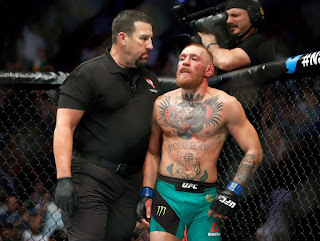 We have seen ex-fighters like Frank Trigg and Chris Leben in recent years move on to the officiating side of the game, and that's a step in the right direction. But ultimately there just isn't enough money in the field. Hopefully the sport continues to grow, so that more high-quality referees are produced and eventually replace older officials like McCarthy. But for now, the sport needs to continue to grow and make it worthwhile for others to pursue the field. And until that happens, McCarthy moving into broadcasting is a huge loss for all the fighters.